The country’s manufacturing sector activity improved in November and touched an 11-month high as new order flows encouraged companies to lift production amid strong demand conditions, a monthly survey said on Monday. 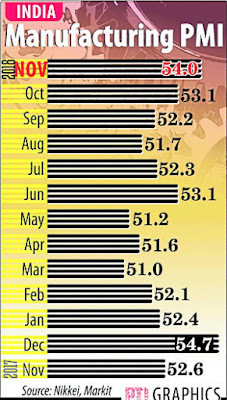 The Nikkei India Manufacturing Purchasing Managers’ Index strengthened from 53.1 in October to 54.0 in November, signalling the strongest improvement in the health of the sector in almost one year. 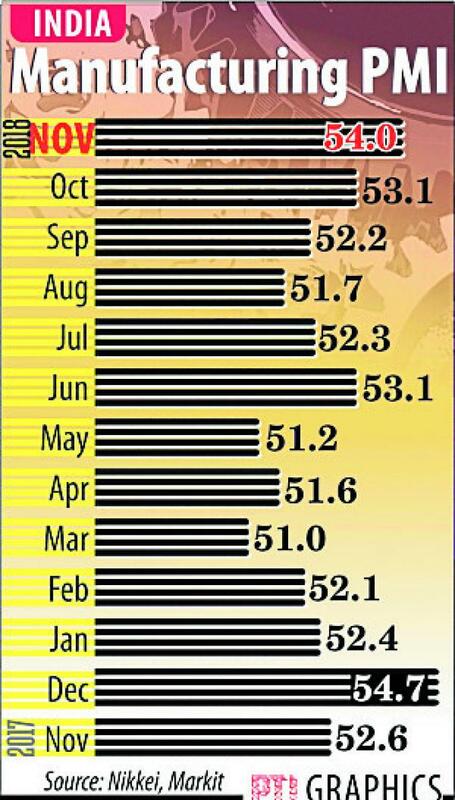 This is the 16th consecutive month that the manufacturing PMI remained above the 50-point mark. “Signs of rising confidence in the upturn were also provided by the trend for employment, which continued to grow at one of the quickest rates seen in six years,” Lima added.